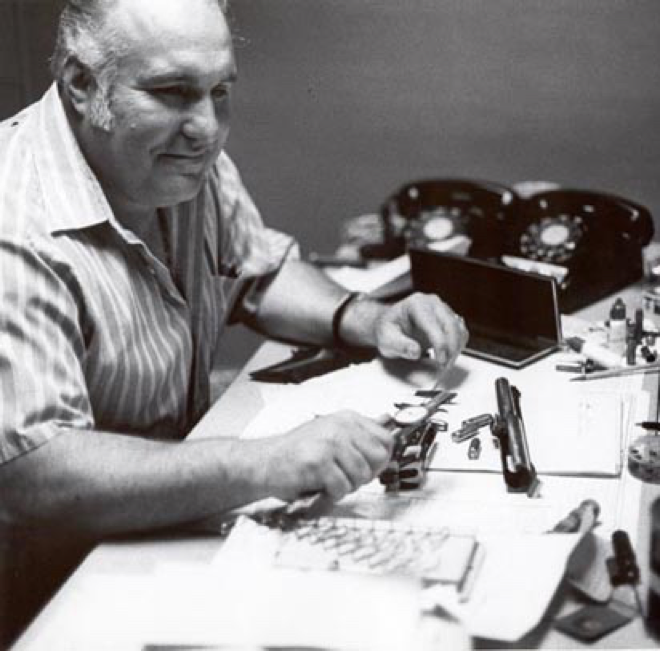 The AutoMag was invented back in 1970 by firearms visionary Harry Sanford, who had the idea to develop a pistol around the .44 AutoMag cartridge specifically for handgun hunting. Demand soared and the AutoMag became an instant classic. 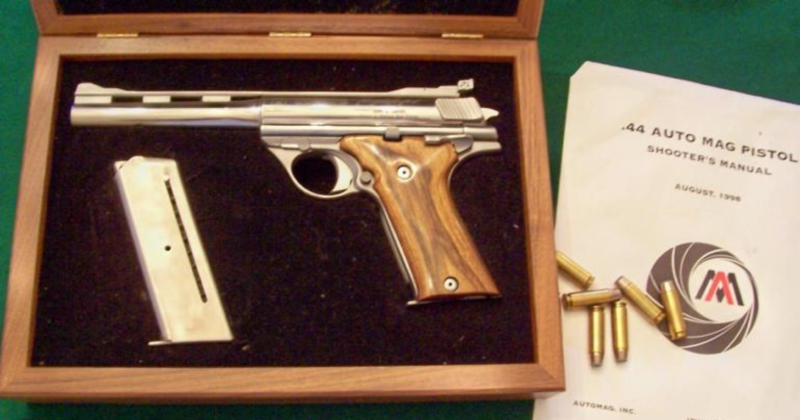 In 1982, Harry Sanford officially retired the .44 Automag from the market. After 4 decades of cult status, a new innovator - Auto Mag LTD Corp. - has recently stepped up to revive the AutoMag while staying true to the historic essence of the product. The exclusive rights, plans, name, and spare parts were purchased from the Sanford family in 2015 to serve as the backbone of a new company based out of South Carolina. Since then, Auto Mag LTD Corp. has been busy reengineering the legendary firearm using the latest technologies in a state-of-the-art manufacturing facility. Auto Mag LTD Corp.’s mission is to reintroduce one of the most beloved firearms ever in the US - and make it better than ever. Starting from the ground up with state-of-the-art manufacturing technologies and redesigned materials, significant improvements to the original model have been made. Additionally, Auto Mag is working on a .22cal conversion kit to make the Auto Mag more economical and viable for indoor range shooting with caliber limitations. After 2+ years of intensive R&D, the first production run is underway and product is being shipped. 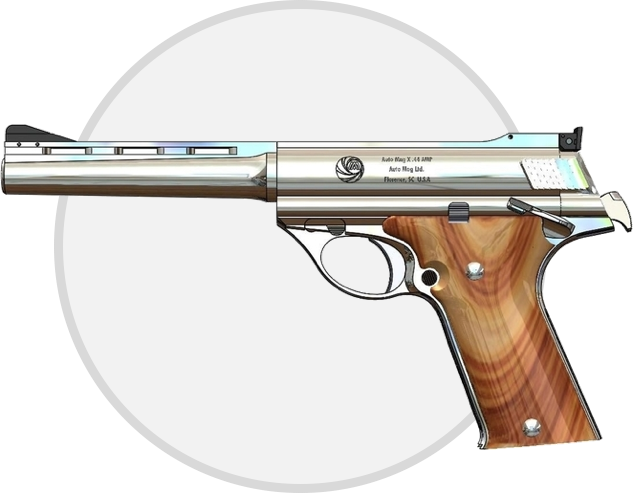 Although improvements have been made, the AutoMag still carries all the same historical significance that the original did. It still shapes up to be a collector’s dream - and will now carry even more value considering the limited supply. Purchase requests are flooding in even considering the thousand dollar plus price point. At Auto Mag LTD Corp., we’re committed to quality above all else. The original version was designed and manufactured with materials & processes that were popular in the 1970s. 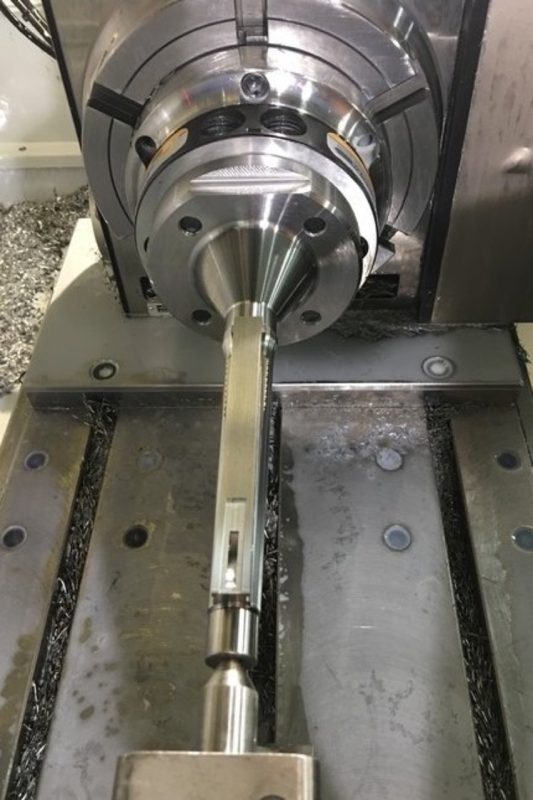 But times have changed - and today, we’ve taken advantage of computer numerical control (CNC) equipment, CAD/3-D modeling, and space-age materials that were nothing more than pipe dreams during Dirty Harry’s day. These technologies have allowed Auto Mag to produce a substantially improved product at a lower cost due to reductions in labor requirements. In total, 20+ improvements have been made to compliment the historical classic. What fun is a new gun if you can’t fire it? We’ve taken this to heart at Auto Mag LTD Corp. with a commitment to making ammunition and reloading components available at reasonable prices. Initially, only the .44 amp caliber will be available; but different calibers will be introduced in the near future. 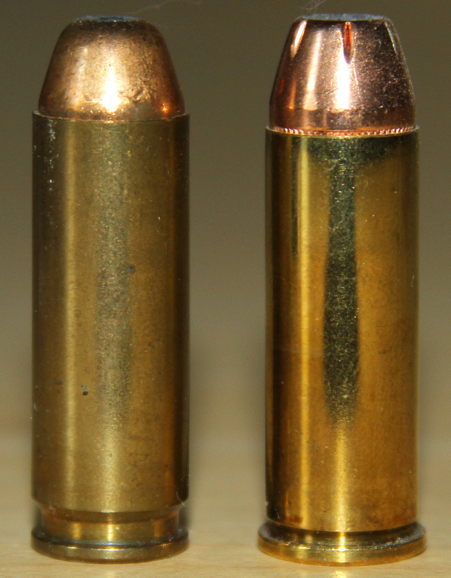 Historically it had been difficult to find an ammunition manufacturer making the .44 amp cartridge which inflated ammo prices to $3-4 per round. Partnerships have been secured with reputable cartridge and ammo manufacturers to ensure sufficient supply on the shelves to keep costs per round to approximately $.95 per round. Around ⅓ of the requested guns being from the roughly 9,000 current AutoMag owners, which is great news for our repeat purchase prospects. Many firearms buyers only buy one of a type of firearm. Once they buy yours or the competitors they are very unlikely to purchase another. In the case of Auto Mag many of the current buyers already own Auto Mags, Wildey’s, or Dessert Eagles yet they still want an Auto Mag. Many of the current owners want to have a “shooter” and are willing to buy a new Auto Mag because they don’t want to shoot their collector Auto Mag(s). Cultivating referral networks to spread the word to enthusiasts and core influencers alike. 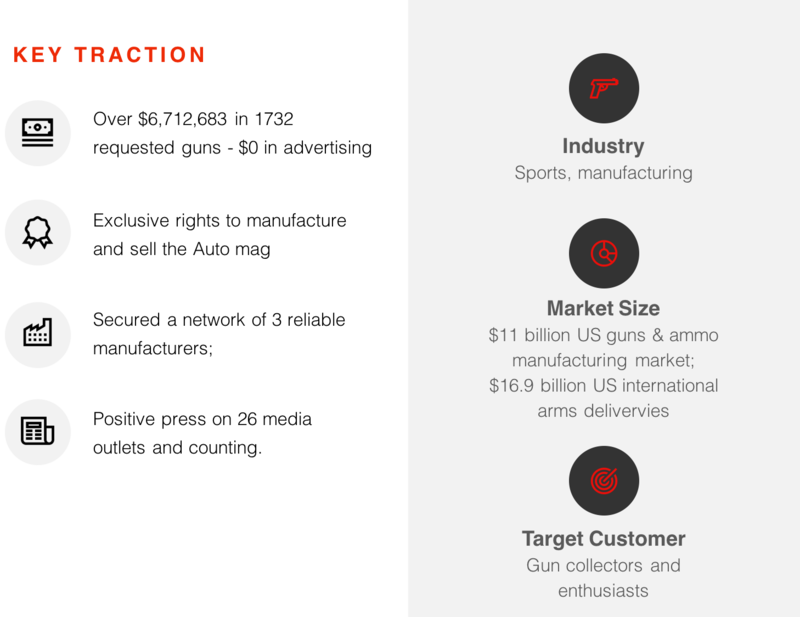 Build prop guns for movie studio usage including Lionsgate (Thomas Hughes), Motion Picture Weapons (Rocky Galotti, ISS -- Carl Washsette, and Mike Pappick. It was already in 9 movies as well including Sudden Impact, Beverly Hill’s Cop II, and Malone (Burt Renolds) from 81’-95’, and the TV show Miami Vice. With the tailwind of the press and the go-to-market plan in place, AutoMag’s return will be redeeming. 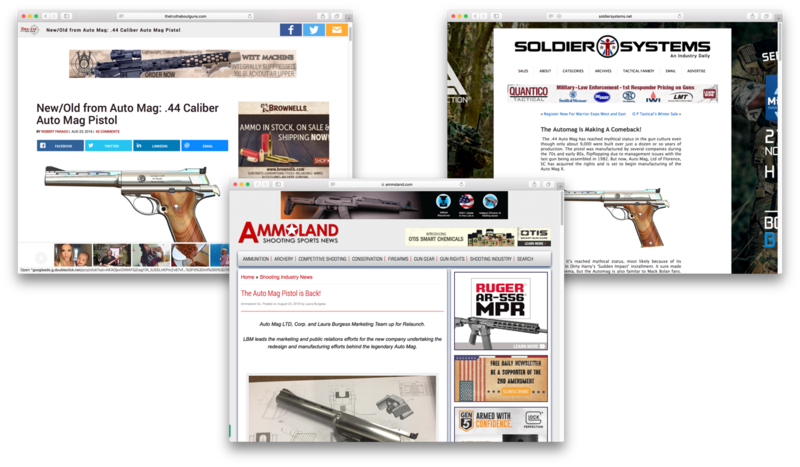 To further foster the growth, Auto Mag plans to actively attend firearm trade shows consider the product has been well received at such events to date. For more information on Auto Mag LTD Corp. and how we’re creating investor value, please request access to the Business Plan portion of this profile! 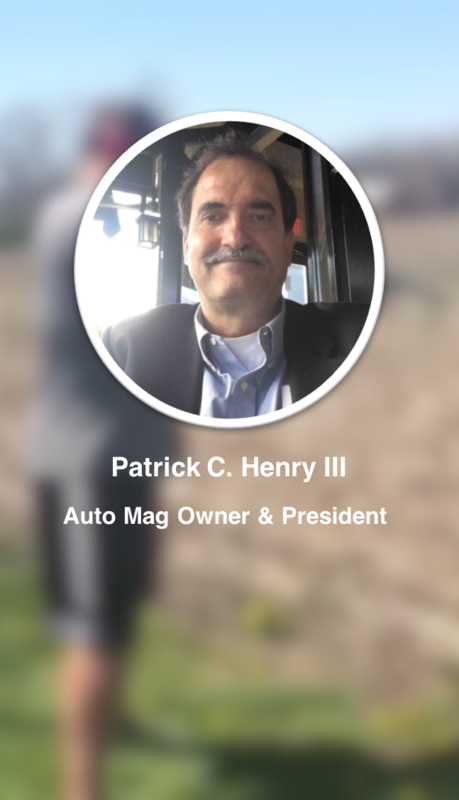 The man responsible for the revitalization of the Auto Mag is Patrick C. Henry III, Owner & President. Patrick has over 4 decades’ worth of experience in firearms and ammo, getting his start as a high school senior in 1974. All told, he’s founded or acquired 14 companies in the space most of which were ​turn arounds or failing or bankrupt companies. Every one resold for a profit several we sold at more than 10x’s their cost. Out of all the projects he has ever done this has the most promise. He also has owned over $50 million worth of real estate and overseeing 300+ employees at his peak. His primary focus is on the building, the production and the marketing system while changing the traditional business model to much more of a virtual corporation that can profitably operate over a wide scale of demand.